Not long ago, I reviewed PowerCamera. 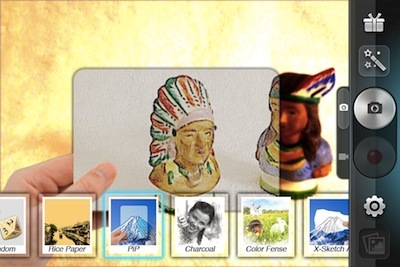 An app that offers a variety of filters that can be viewed in real time when framing up the photo to take. After taking the picture, there is even more effects that can be added. Today, I found PowerSketch by the same developer. The app lets you take photos with a variety of effects or apply the included set of effects to images you have in your iPhone photo library. 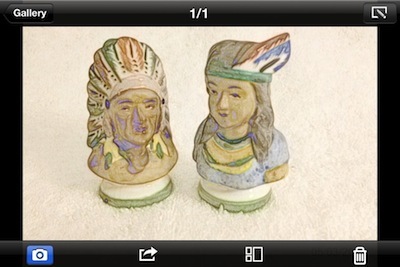 The free app has plenty of special effects to enjoy, but with less than half of the paid for PowerCamera. 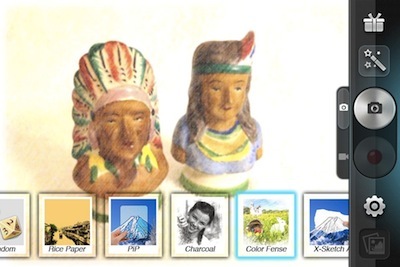 If you choose to capture a new image, you can have the app randomize the effect. Or, if you choose the wand button, the 14 filters appear across the bottom of the PowerSketch screen. The app works in landscape and portrait. 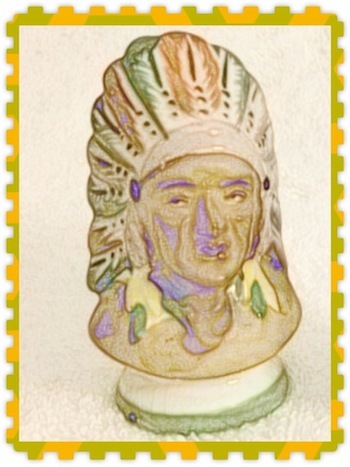 Sweep through the effects, tap one to see it applied to the area your looking at then snap the photo. If you prefer, PowerSketch will actually record a video with a effect too. 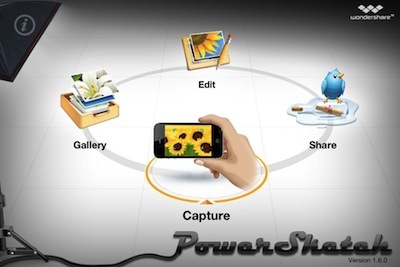 Images taken are saved to photo gallery inside of PowerSketch. Each photo can be shared or edited further. The collage button along the bottom doesn’t work in this free version of the app. All of the effects offered when taking the pictures are offered in the edit area in case you don’t like the one you chose before. Images can be resized and a variety of frames are provided too. 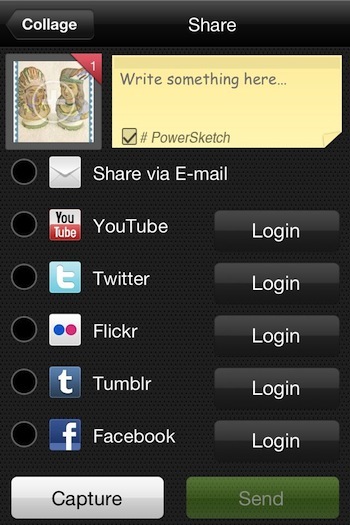 PowerSketch has all of the usual popular social sharing services. Notice even YouTube is covered if you decided to use the app for video recording rather than single snapshot.